Most people fear the Spanish Inquisition. He’ll make the Inquisition fear him. Hiding behind a veneer of Catholicism, the Mendez family secretly practices their Jewish faith. It's a dangerous way of life in 17th century Spain. Their worst fears are realized when, one late spring night, armed soldiers arrest Simon Mendez’s father for “Judaizing” – teaching Jewish traditions to others. 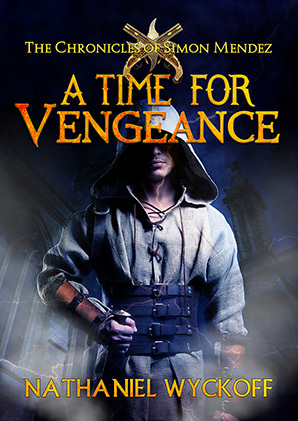 Incensed by the arrest, Simon is determined to rescue his father before he's burned at the stake. It won’t be easy. The Mendezes’ neighbors turn against them, and Simon and his family must flee their home to escape arrest. But they can’t hide forever, and in order to save his father, Simon must risk everything. He will need to strike back hard against the overwhelming power of the Inquisition. With his father’s life on the line, there is no other choice. The Inquisition had better start praying.